Presenter: Steven Alper, LCSW has been an ardent mindfulness meditation practitioner for over 35 years. 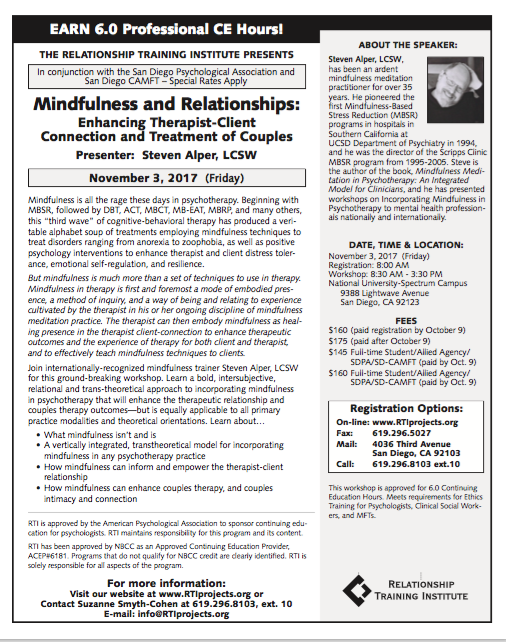 He pioneered the first Mindfulness-Based Stress Reduction (MBSR) programs in hospitals in Southern California at UCSD Department of Psychiatry in 1994, and he was the director of the Scripps Clinic MBSR program from 1995-2005. 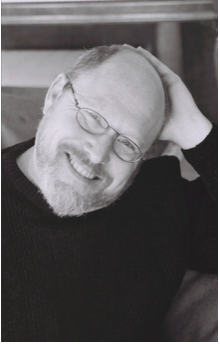 Steve is the author of the book, Mindfulness Meditation in Psychotherapy: An Integrated Model for Clinicians, and he has presented workshops on Incorporating Mindfulness in Psychotherapy to mental health professionals nationally and internationally.